For a long time now, Brooks Adrenaline GTS has established itself as a stability race shoe with good cushioning and perfect fit. Since the last switch to foam midsole, the Adrenaline has maintained some modest updates and the company seems keen not to remodel the whole shoe’s persona. 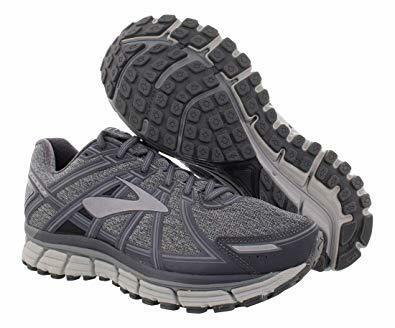 Cataloged in the sporty support shoe category, and available in different colors for the most picky runners, the Brooks Adrenaline GTS 17 adopts a streamlined underfoot for a solid fit and maximum comfort for all your running needs. For the last two weeks, I have been giving these kicks a test run and I must admit that my morning runs and treadmill workouts feel more “bouncy”. 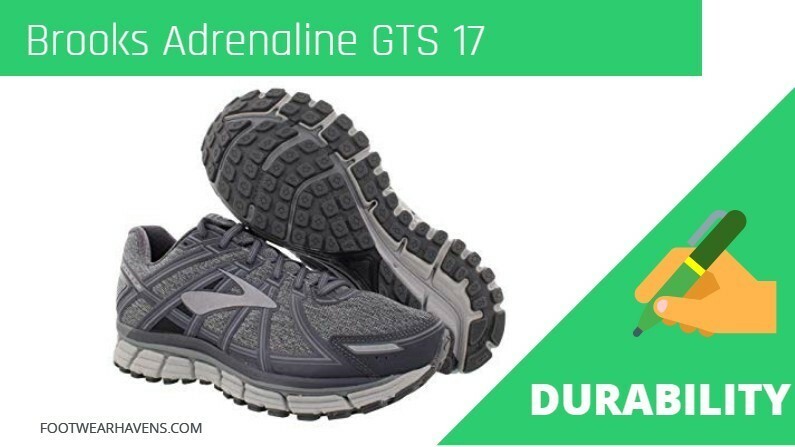 With the Progressive Diagonal Rollbar for proper body alignment and the 30% extra cushioning in the sole, the GTS 17 is definitely made for men and women who are willing to pay the asking price in exchange of a supportive ride. I received a great performance boost thanks to the smooth heel to toe transition, and my feet have a good story to tell. If you have been following the long line of Brooks Adrenalines, then you know they stick to their design playbook every time. Sure, there are some few changes with every new release, but the core of the shoe tends to stick to one touch. If you’re anything like me, you will love the outsole traction provided by the Flextra for an enhanced grip on most surfaces. Surprisingly, the shoe feels significantly lighter allowing you to enjoy a solid walk without feeling “weighed down”. Other than the stray strip in the midfoot, the upper part of the Brooks GTS 17 is covered with a breathable mesh. The heel collar uses a single fabric lining for an enhanced fit and the reflective accents in the heel strip add a nice touch to the feel of the shoe. While doing some jogs on the treadmill, I could really feel the insole padded tongue and Achilles collar rubbing against my ankle. While normally this would mean more sweating, my feet remained dry the entire time. The soft inner fabric lining and accommodating toe box made the experience lighter and enjoyable. While the GTS 17 has borrowed a lot from its former siblings, there are some notable design changes in the upper fit. It’s made of a breathable seamless mesh that feels more comfortable and flexible. I found the upper eyelet very handy, particularly for anchoring the foot firmly without giving you blisters. Again, the extra cushion only makes this feature friendlier. Now I can tie my shoes as tight as I want. And if you like running at dawn like me, you will love the reflective accents! 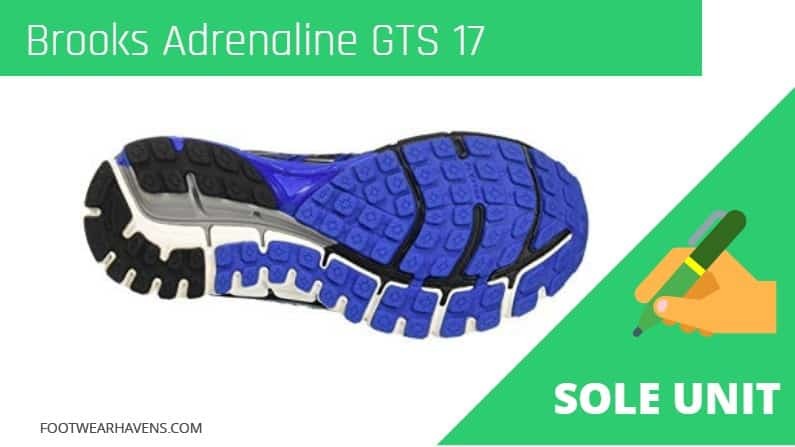 Adrenaline GTS 17 sole unit is made using the revolutionary Full-Length Segmented Crash Pad technology, which is a segmentation feature that helps to promote an adaptive landing and lifting off feels effortless with every stride. The BioMogo DNA soft foam technology adds a nice touch to the striding. Brooks released this technology to replace the traditional carbon footprint. There is no denying that the cushioned padding and biodegradable midsole have earned their place in their creative shoe department. The abrasion-resistant outsole serves to complete the remaining piece of the puzzle. It’s made of blown rubber that feels lighter and more flexible compared to the stiff carbon-based athletic shoes. This comes in quite handy when battling fatigue in long midday runs. Is the GTS 17 Durable? 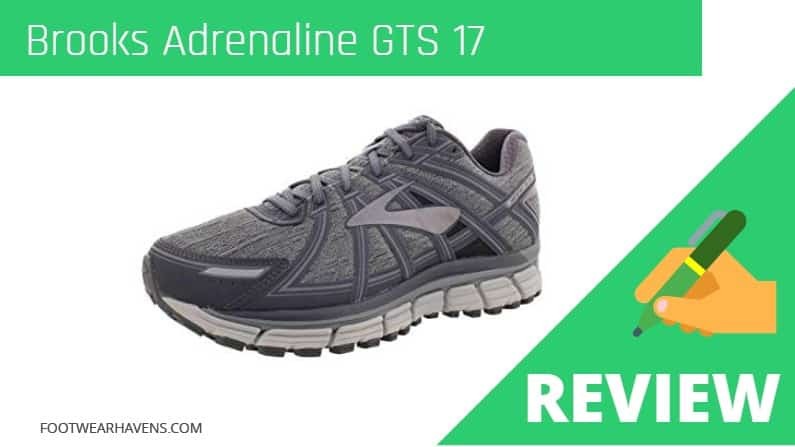 While some people have previously argued that the GTS models’ firm traction is usually a trade-off in the shoe’s durability, I found this quite different with the Adrenaline 17 model. After running 10 miles every day for 3 weeks, and doing some treadmill trots, there were no signs of wear and tear on either the interior or exterior. This is, perhaps, due to the aggressive 3D Hex lugs and protective blown rubber, which are made to withstand even the toughest of terrains. If you ask me, this is the toughest athletic shoe I have ever had the opportunity to write a review about. Stability: The GTS 17 is made for stability. The Segmented Crashpad aids in smooth foot landing by adapting to each step and stride. Some people have raised complaints that the shoe size is smaller than the standard. I recommend purchasing a size slightly bigger than your foot. If you enjoy running with wind like I do, the Brooks Adrenaline GTS 17 are a perfect pair to make your runs enjoyable. The shoe actively adapts to your feet and running style, giving you a custom racing experience. I’ve always been enthusiastic with light shoes and my pair of Brooks did not disappoint. No more sore feet, no more dragging my shoes. 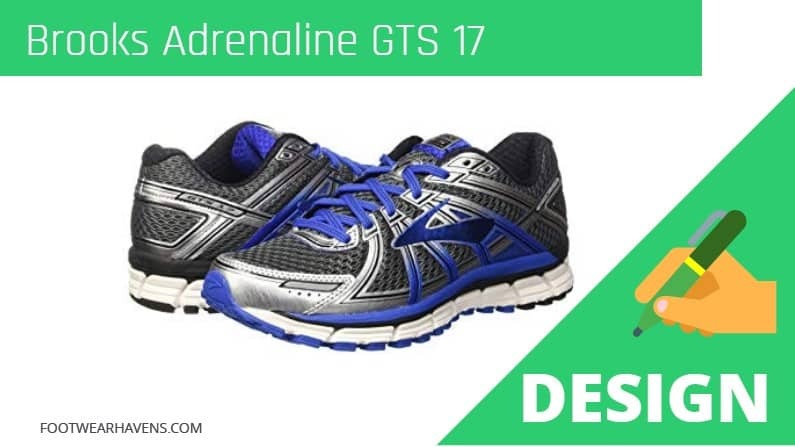 If you are looking for an enhanced performance and stable running experience, the GTS 17 are your way out.